David Grimm utilizes his skills obtained from his career at Science to write an empathetic and thought provoking work. Animals were once wild, living as modern day wolves and wild cats, but eventually domesticated by the human species. We see our canine and feline friends as family, equally important as our children and spouses. We would save them first from burning buildings, and withstand atrocious circumstances with our furred family before abandoning them. How did this giant leap from feral animal to trusted member of the clan come about? What does this mean for their legal and social status in our communities? How will this affect the future of animal welfare, medicine and relationships in respect to their human "guardians"? The status of cats and dogs is changing with new ideas about animals developing from scientific studies, and a burgeoning animal "parent" population. Thanks to the modern era of kitty litter, vaccinations and spay/neuter operations, the number of animal friendly households has doubled. 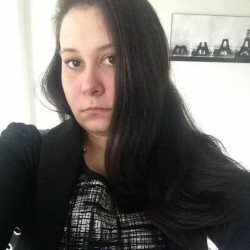 The effect of this "animal friendly" movement has even affected police and military work, given rise to therapy animals and the coining of a new experimental legal position "living property". Grimm looks at the suffering, joyfulness and even the fear that human beings experience in the name of the two most domesticated animals. He looks at the lack of understanding surrounding the pit bull craze has affected both the breed and those who would love them. He discusses certain factions that believe animals have become parasites on human societies, and extermination is a plausible and necessary action to preserve human beings. 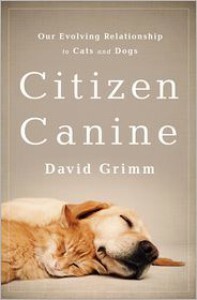 With the help of several leading figures in animal welfare, training, animal lawyers, Animal Legal Defense Fund and theorists Grimm follows the historic path of our furry children to modern day, and their plight towards becoming a person, or equal partner in a world of human "superiority". I would highly recommend this book to anyone looking to learn about the history of the domesticated pet, the history of welfare organizations and the effect that these organizations have had on the positive light in which we see our pets.